Gorgeous ocean views abound from this rare location within Makena's premier luxury residential condominium. Located in the desirable B building, this 3rd floor unit captures views from the West Maui Mountains to the outer islands and Turtle Town. 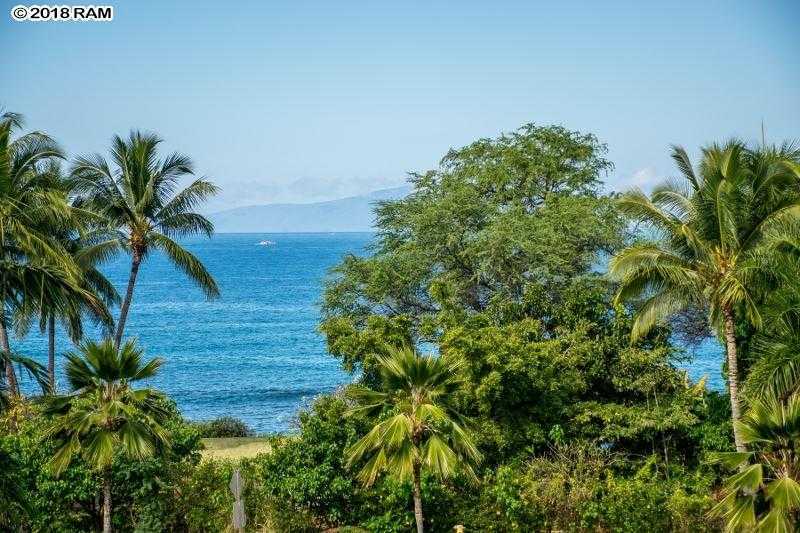 Na Hale O Makena is a short walk to several beaches and coves and the famed Makena Landing. This spacious 2 bedroom, 2.5 bath condo features the finest in craftsmanship and interior finishes. The open floor plan allows views from the entire living area as well as the master bedroom. The kitchen boasts the finest appliances including a Gaggenau gas and electric stove top and grill, Gaggenau dishwasher, Built-in GE Monogram refrigerator, Thermador hood, large Kenmore oven, and gorgeous granite counters and bar. On the covered extra large lanai is an outdoor Thermador BBQ and fridge. Huge walk-in closets and a spacious second bedroom and bath are perfect for long term accommodations and guests. A built in murphy bed in the extra large hallway closet allows for additional sleeping options and almost acts like a third bedroom. Na Hale O' Makena features privacy, security and the luxury of a grand resort, including the pool, hot tub, covered patio area and fully air conditioned exercise room. Lush tropical landscaping surrounds the low density complex. This unit is sold furnished and turn-key with all linens, dishes, etc. The special assessment balance of $2575 is to be paid in full by seller prior to closing. A 2014 Kia Cadenza with low miles can be included with a separate bill of sale. 24 hour on-site manager maintains the properties. Please, send me more information on this property: MLS# 379551 – $1,750,000 – 4955 Makena Rd Unit B302, Kihei, HI 96753.